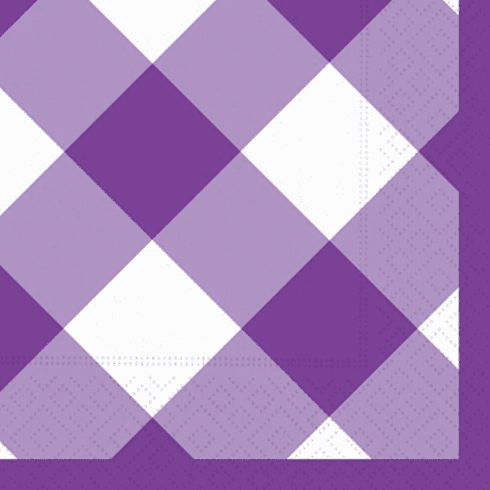 Purple Gingham Pattern. Measures 25 cm x 25 cm. Each package contains 20 beverage napkins. 3-ply tissue.